The key to keeping tennis fun for children! The key to keeping tennis fun for children is to introduce enjoyable games to mix in with the drills and with match play. As children learn that tennis is fun, they will be far more inclined to make it one of their lifetime sports. Coaching kids and junior players is one of the most difficult tasks for a coach. Kids require tennis to be challenging enough to keep them engaged but not too hard so that they lose interest and passion for the sport. http://totstojuniorstennis.co.uk/wp-content/uploads/TJT_500px-450x291.png 0 0 Dessi http://totstojuniorstennis.co.uk/wp-content/uploads/TJT_500px-450x291.png Dessi2016-05-23 14:23:162016-05-23 14:23:16The key to keeping tennis fun for children! 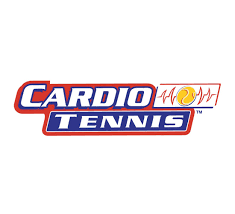 Cardio Tennis Classes are coming SOON! I am delighted to share with you that yesterday I qualified as a Cardio Tennis Instructor.My tutor was Richard Marklow, Director of Inspire2coach at University of Warwick Tennis Centre. http://totstojuniorstennis.co.uk/wp-content/uploads/TJT_500px-450x291.png 0 0 Dessi http://totstojuniorstennis.co.uk/wp-content/uploads/TJT_500px-450x291.png Dessi2016-05-18 10:18:472016-05-18 10:18:47Cardio Tennis Classes are coming SOON! Well done to all of you! Have a lovely Half Term break.Looking forward to see you all in June! http://totstojuniorstennis.co.uk/wp-content/uploads/TJT_500px-450x291.png 0 0 Dessi http://totstojuniorstennis.co.uk/wp-content/uploads/TJT_500px-450x291.png Dessi2016-05-18 09:44:032016-05-18 09:44:03Well done!